Shirley Mae Allen, age 72, a resident of Pleasanton, Kan., passed away Sunday, Feb. 3, 2019, at the Kansas City Hospice House in Kansas City, Mo. 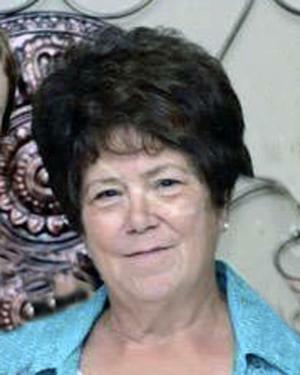 She was born Jan. 8, 1947, in Humboldt, Kan., the daughter of Claude Pollett and Dorothy Heimburg Pollett. Shirley first married Clark Alan Howard. He preceded her in death. She later married J.L. Allen on Aug. 12, 1978, at Iola, Kan. In earlier years, Shirley had worked in the business office of Mercy Hospital in Fort Scott and later for Dr. Carney’s office in Iola. She then was employed as a paraprofessional for the Pleasanton High School. She had attended the Pleasanton Church of the Nazarene. Shirley was a devoted wife, mother and grandmother. Taking care of her family was her number one priority. She and J.L. enjoyed attending her children’s and grandchildren’s sporting events. Survivors include her husband J. L. of the home; five children, Dr. Jay Allen (Tana) of Pleasanton, Brian Howard (Sherry) of Nevada, Mo., Kevin Howard (Kristy) of Iola, Kara Nicole Allen (Steven) of Kansas City, Mo., and Megan Brixey (Chris) of Lee’s Summit, Mo. ; a daughter-in-law, Melissa Allen of Jasper, Ind. ; five grandchildren; and a great granddaughter. Also surviving are two brothers, Clarence Pollett of LaHarpe, Kan., and John Pollett of Iola; and two sisters, Barbara Beasley of LaHarpe and Nancy Pollet of Independence, Kan.
She was preceded in death by a son, Chris Allen. William James Schafer will conduct funeral services at 10 a.m. Saturday, Feb. 9, 2019, at the Cheney Witt Chapel. Burial will follow in the Evergreen Cemetery. Memorials are suggested to the American Cancer Society and may be left in care of the Cheney Witt Chapel, 201 S. Main, P.O. Box 347, Fort Scott, KS 66701. Words of remembrance may be submitted to the online guestbook at cheneywitt.com.